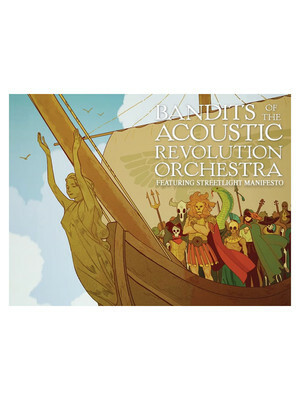 Why See Bandits of the Acoustic Revolution Orchestra? Made of strictly acoustic instruments including cellos, violins, trumpets, saxophones, upright bass and acoustic guitar amongst others, the 40-member BOARO spins things round and play incredible energetic, fast tempo fusion tunes, contrasting the majority of the music composed for said instruments. Paired with Streetlight Manifesto, the multi-talented outfit is sure to induce mass-skanking, well-intentioned moshing and a sweaty rock gig atmosphere, so wear comfy shoes and get ready for a good, old fashioned knees-up! Sound good to you? Share this page on social media and let your friends know about Bandits of the Acoustic Revolution Orchestra at Radio City Music Hall. Please note: The term Radio City Music Hall and/or Bandits of the Acoustic Revolution Orchestra as well as all associated graphics, logos, and/or other trademarks, tradenames or copyrights are the property of the Radio City Music Hall and/or Bandits of the Acoustic Revolution Orchestra and are used herein for factual descriptive purposes only. 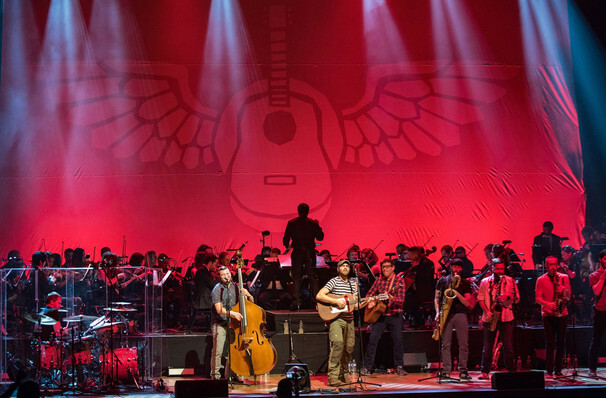 We are in no way associated with or authorized by the Radio City Music Hall and/or Bandits of the Acoustic Revolution Orchestra and neither that entity nor any of its affiliates have licensed or endorsed us to sell tickets, goods and or services in conjunction with their events.